If your child is entering their preteen years with crooked teeth, then you may want to start thinking about orthodontics. Though it’s never too late to get treatment, the best time to start is early. What are the options for children? You’ll most likely need to choose between Invisalign and braces, with a few different variations on the braces option. Invisalign is a fast-growing trend in orthodontics. If you’re curious about Invisalign pros and cons, then you’ve come to the right place! Know What the Orthodontist Says. The most important issue at hand regards Invisalign effectiveness. As you’re doing the research you’ll find that, yes, Invisalign works just as well as braces! However, if your child has significant problems with alignment or crooked teeth, braces may be necessary. Braces and Invisalign are equally effective except when the orthodontic condition is particularly severe. If the orthodontist recommends braces over Invisalign based on the orthodontia required, then the best course of action is to go with braces. Determine Your Child’s Style Preferences. Some kids enjoy the pizzazz of braces with color, while others may feel very self-conscious about “metal teeth.” Invisalign offers the advantage of a subtle style for young people who don’t want to draw attention to their treatment. 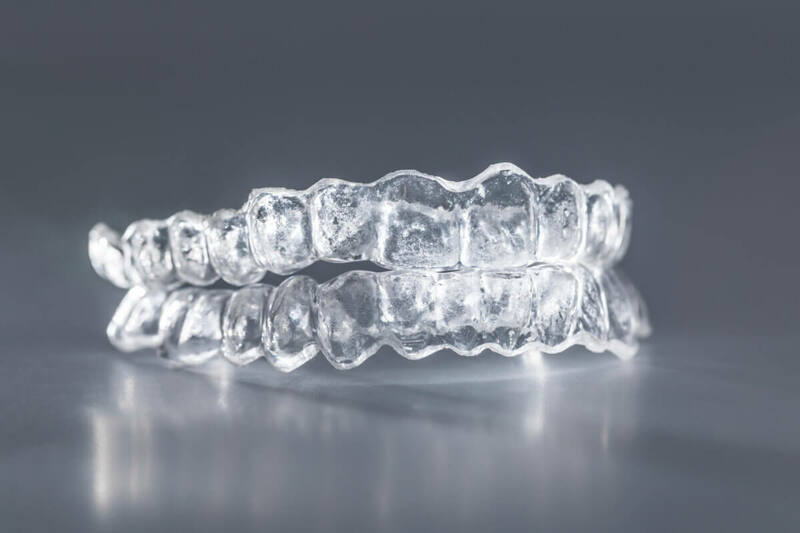 The clear plastic aligners are transparent, making them a great aesthetic option. Also, if your child participates in any contact sports, Invisalign may be the best choice. Braces can be a liability for the accident-prone since any dislodged metal part or wire would require a trip to the orthodontist. Set Realistic Expectations About Comfort. There are downsides to Invisalign and braces, so it’s good to know what to expect in either case. Metal braces can cause irritation due to the metal rubbing against the gums, but this can be remedied by applying a soft dental wax to the exposed metal part. While many patients find that the BPA-free plastic aligners are more comfortable, some experience similar problems with Invisalign. Some patients are sensitive to the friction of the aligners’ plastic edges against the gums. Just like with braces, you can apply wax or ask the orthodontist to file down the offending edges at your appointment! Consider the Implications for Eating and Drinking. Many parents actually embrace the recommendation to improve their child’s diet if they wear traditional braces. Because of the food restrictions involved, your child may learn to eat healthier during the treatment period. Absolute no-nos are sugary foods (candy), sticky foods (chewing gum, caramels), and hard foods (nuts). You’ll notice that some of the restrictions also involve healthy foods, and the new eating habits may be difficult to keep up. That’s one big reason why so many parents believe that their child will do better with Invisalign. The aligners should be taken out during eating and when drinking hot liquids. So long as the patient keeps the aligners in for at least 20-22 hours daily, the treatment will be complete within the estimated time frame. When you’re reading articles about braces pros and cons, you’ll rarely read about a very practical consideration: they can’t be lost. Needless to say, braces remain in the mouth for the entirety of the treatment period, which means that you don’t have to worry about misplacing them! Invisalign may not be the right option for your child if he or she is prone to losing things. Since the aligners must be taken out when eating and drinking, there are many occasions for misplacement. And, because they’re clear and transparent, they can fade from view if you’re not careful about where you place them. The good news is each set is replaced every two weeks, but losing them part way through can still affect the treatment timeline. You’ve seen a few major Invisalign pros and cons, and the next step is to schedule a consultation with a pediatric dentist you can trust. At Kangaroo Smiles Pediatric Dentistry, we are committed to giving our patients the best possible orthodontic experience! We’re a kid-friendly office and pride ourselves on creating a stress-free environment for parents and children. We can help you make the right decision for your child’s orthodontic treatment. To schedule an appointment, please call us at (978)-425-1496!